We’re working on 3 technical delivery priorities: increasing departmental adoption of GOV.UK Verify; improving the completion rate for GOV.UK Verify users; and improving and maintaining GOV.UK Verify. In the past month, we focused on 2 of these priorities: improving the completion rate and maintaining GOV.UK Verify. Here’s a summary of what we’ve been working on since our last update back in October and what we plan to do next. 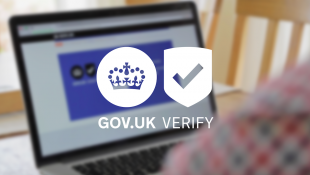 researched new ways to explain to users how GOV.UK Verify works so they can make better-informed decisions about which certified company to choose. We want to continue improving the way we run the GOV.UK Verify federation and operate the live service effectively. To continue keeping GOV.UK Verify available and secure we’ve automated most of our code release process and are now setting up metrics to measure where we can make further improvements in speed and reliability. continue recruiting new members for the technical delivery team - we’re looking for web ops engineers, developers and more! If you’re interested in joining us at GDS, check out our current vacancies.